Copyright: Copyright of all entries remains with the photographer, but Ecoffins and their associated group companies reserve the right to use, publish and republish all entries in connection with the competition, on their calendar, websites and other associated media without payment. Who can enter: Open to all photographers, UK. The images should display parts of a British or other European environment. 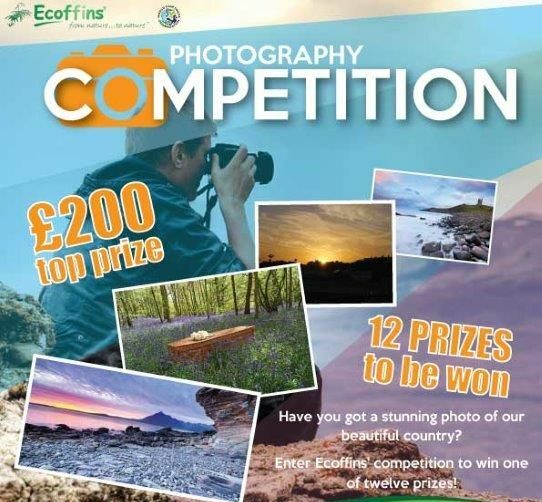 Due to the environment in which this calendar will be used Ecoffins is looking for images that reflect the natural beauty of landscapes and places in the UK or in Europe in a positive, memorable and calm way. 12 winning images will be published in Ecoffins desk calendar 2017. The prizes will be awarded latest by the 15th October 2016 and will be sent by post. Image requirements: JPG format; no more than 1400 x 1050 pixels and a maximum of 300 dpi; up to 1.2 mb in file size. Entrants may submit 1-3 photographs. Online submission of digital photographs via the website.